An international vacation club like this one is what you need if you have always wanted to visit Europe or Asia, and it looks as if you would never be able to save enough money to make it there on your own. 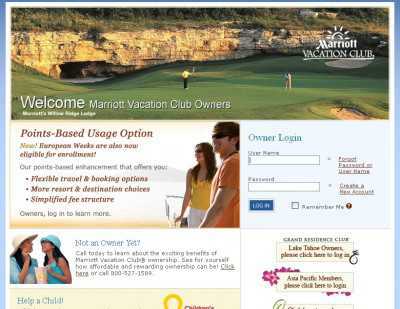 Marriott Vacation Club (www.my-vacationclub.com) offers lots of different tours and excursions, suitable both to singles, couples and families. 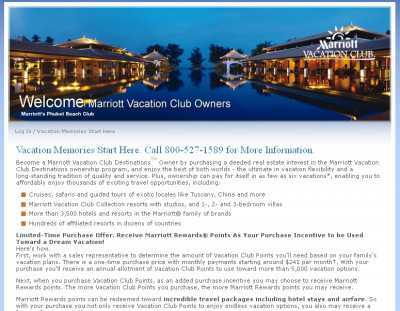 Marriott Vacation Club prides itself in offering flexible travel and booking options, along with a simplified fee structure. Cruises, safaris, guided tours… all these are available. And the Marriott network encompasses more than 3,500 hotels and resorts in territories as distant as China and Japan, along with hundreds of affiliated resorts. Besides, the travel packages that you can redeem your points for come with hotel stays and airfare. The idea is to give you a complete package from the very beginning, so that you can just focus on enjoying your travel experience to the full. So, this club might be just what you need in order to make your dream vacation come true, once and for all. You can become a member either by visiting this page, or by calling 800-527-1589. And Marriott is also involved in charitable causes. If you want, you can donate your Rewards Points to children’s hospitals and related venues by following this link.